It’s the first day of a new year. I bet you’re expecting me to post about fresh starts, new beginnings, and a clean slate. Well, you’d be partly right. 2013 is undetermined and clear out ahead today, but I think it’s equally important to look back and appreciate the years before. It’s funny. Not “ha ha funny,” but you know what I mean. Traveling kind of has the best of both worlds: the old and the new. The excitement and anticipation of a journey to a new place. A new adventure and another item crossed off the bucket list. Everything feels fresh and new to the traveler. The road stretched out ahead, diving into uncharted waters. At the same time, I’d venture a guess that when you travel you visit old monuments. That you hear stories from the people who live there and find yourself immersed in the past. I know I do. On our most recent road trip through Vermont, we stumbled upon an old-fashioned diner (as we frantically searched for a place to eat with gluten-free food). 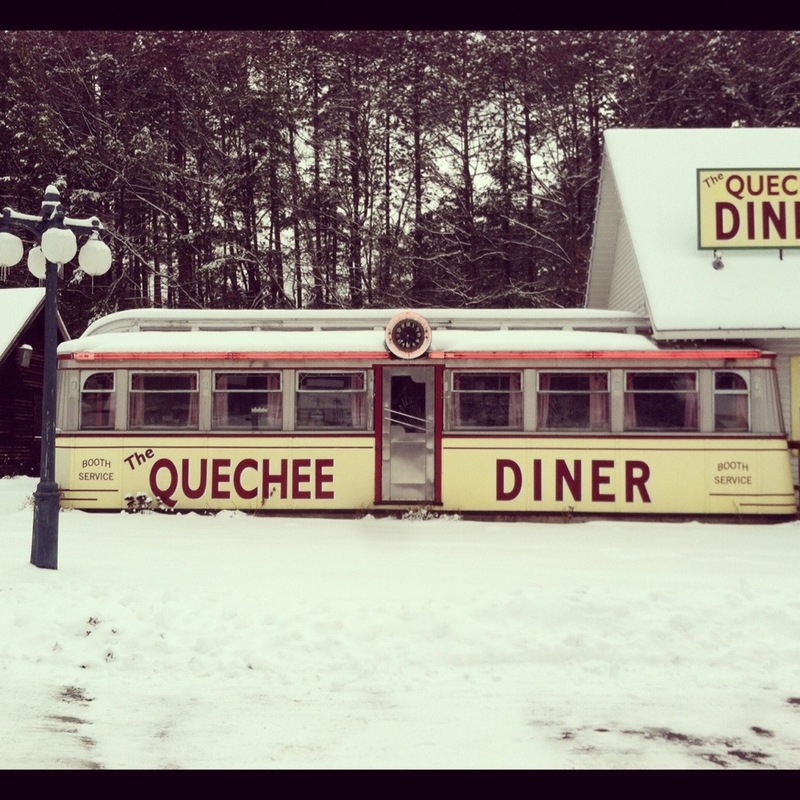 The diner was enough to pull us off our course, stop the car and get out, yes get out of the car, to take a picture. So although I am thrilled that today marks the beginning of a new year, I want to make sure that I am taking the time to stop and get out of the car to appreciate the past. Safe travels and a Happy New Year! !